Need Some Winter Agility Tune-Up? 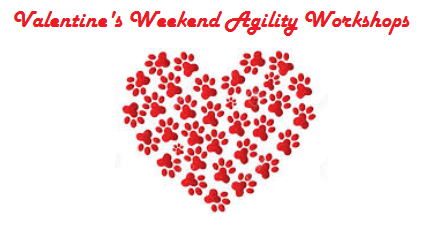 Come spend a day with local experts Jean Wilkins and Susan Heckelman on Valentine’s Day weekend in February for agility workshops in Distance/Discrimination and the 2×2 method of training weave poles. Registration closes on Jan 31.